As regular readers of this blog are aware, one of the continued areas of interest and research for me is the intersection between popular culture, spirituality, and theology. 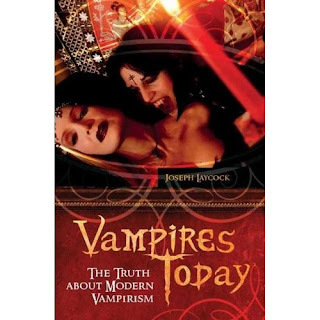 A recent interview at religion dispatches with Joseph Laycock, a doctoral candidate at Boston University, touches on these areas and dovetails with some of my own interests as Laycock touched on his research into the issues surrounding modern vampirism. Several aspects of Laycock's research are worth noting. First, he approaches this topic not as a new religious movement, but instead from the broader way in which people in late modernity are constructing their senses of identity. From this perspective Laycock sees contemporary vampires as undergoing a process of self-discovery. Laycock also attempts to set the record straight in terms of misconceptions about the vampire community, usually construed as "a subversive religious group and that anyone who identifies as a vampire is a dangerous social pariah." Rather than these stereotype Laycock's research confirms that he sees "self-identified vampires more or less as ordinary people." Interestingly, toward the conclusion of the interview Laycock is asked which book he wished he had written. He refers to Christopher Partridge's excellent book The Re-Enchantment of the West, Volumes I & II, and his development of the idea of "re-enchantment" theory in the West in late modernity as a significant concept in the study of new religions and the Western quest for spirituality. Laycock's research into modern vampires fits will with the idea of people seeking re-enchantment, as well as seeking inspiration for identity and spirituality through aspects of popular culture such as literature, film, and television, resulting in the creation of what Partridge labels "popular occulture." 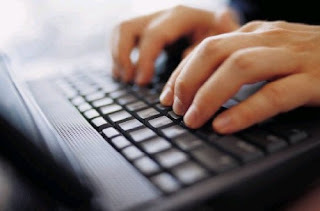 I recently finished my chapter, "Cybersociality: Connecting Digital Fun to the Play of God," as part of the collection of essays for the forthcoming Halos and Avatars: Playing (Video) Games with God! (Westminster John Knox). I also recently completed an article for Sacred Tribes Journal titled "Burning Man Festival in Alternative Interpretive Analysis." By September 1 I need to submit my chapter on Burning Man and what it may say to the church in late modernity for part of a collection of essays from the October 2009 Conference on Post-Christendom Spiritualities at Trinity International University. These proceedings are going to be published by the printing arm of Morling College in Sydney, Australia. Currently I am working on my paper titled "From 'Cults' to Cultures: Bridges as a Case Study in a New Evangelical Paradigm on New Religions" for the Center for the Study of New Religions international conference which meets in Salt Lake City in June. Then I will turn my attention to two essays for the Christian Handbook of Religion to be published by Baker Academic Books in 2011. My contribution will be in the form of essays on Christianity and Neo-Paganism. I have also been asked to submit a chapter on the "hyper-real" spirituality of Matrixism for the Handbook of Hyper-Real Religions as part of the Brill Handbooks on Contemporary Religions. In addition to these professional articles I hope to submit a piece on slasher films as contemporary depictions of the ancient chaos monster myth that will appear (if accepted) in the Butcher Knives project on the horror slasher film through Dark Scribe Press. All in all, I've got enough writing assignments to keep my busy. Now if only I had more time to pursue them, and others.